As the cannabis industry grows statewide and around the world, industry staffing services and veteran advocacy groups have joined forces to fill specialized roles by recruiting former military and police. OAKLAND, Calif., August 30, 2018 – People Need People has proudly partnered with San Francisco Bay Area non-profit, Veterans Cannabis Group (VCG), with the goal of educating and employing former United States military veterans and police officers for work in California’s rapidly expanding medicinal and adult-use cannabis industry. The collaboration raises public awareness regarding the potential therapeutic benefits cannabis can offer to alleviate war-related health issues like PTSD and physical pain. On Sept. 26 from 6p-8p in downtown Oakland at EVB – 1740 Telegraph Ave, Oakland, CA 94612 – Aaron Augustis, VCG founder, Stacy Bryant, People Need People President and Dr. Larry Bedard, a retired Navy officer who has practiced emergency medicine for 30 years at Marin General and currently sits on the Board of Directors for Marin Healthcare District, gather together to offer educational insight into industry-specific job opportunities and the benefits of medicinal cannabis as it pertains to stemming the opioid epidemic. The event includes a job fair and networking opportunity with the presenters and representatives from HARDCAR Security, a fully-licensed California-based cannabis distribution company. Dr. Bedard has advocated for medicinal cannabis for over 10 years, making national news in 2016 by introducing a resolution directing the Marin General’s administrative and medical staff to review and research the clinical and legal implications of using medicinal cannabis at the hospital. “As a veteran myself, I am thrilled to be able to educate former military about the therapeutic value cannabis can play in helping them healthfully return to civilian life,” says Dr. Bedard. People Need People, a staffing service for the cannabis industry founded in 2016 with offices in Oakland and Sebastopol, is quickly growing and expanding its employment efforts. BDS Analytics expects the cannabis market to increase 150% – from $16 billion in 2017 to $40 billion – by 2021. That growth creates significant employment opportunities which require specialized skills like those held by veterans. “We love working with vets. They bring the experience and dedication our clients demand,” says Stacey Bryant, President of People Need People. Companies like HARDCAR Security take pride in employing trained veterans to ensure the safety of their clients’ products while also maintaining excellence and compliance throughout their work. They offer competitive wages and exclusive access to specialized training courses. “Veterans are the lifeblood of what we do. They’ve kept our country safe. Their skills are a natural fit for our industry. That’s why we hire the best and brightest veterans, helping to further this dynamic industry,” exclaims Todd Kleperis, CEO of HARDCAR Distribution, a veteran and former police founded cannabis distribution company. Many combat veterans experience some form of PTSD after returning home from hostile deployments in combat zones overseas. The use of medicinal cannabis has been proven to help alleviate symptoms. By employing veterans, cannabis businesses not only provide them with a stable income, they also provide them with the opportunity to learn more about the plant’s many therapeutic benefits. 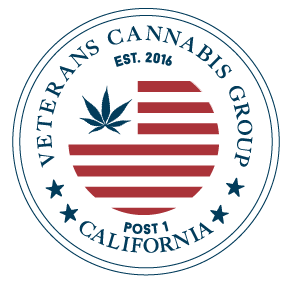 Founded in 2015, the Veterans Cannabis Group is an advocacy group of veterans for veterans who use medicinal cannabis. We provide education, safe access, information on VA benefits and an opportunity for veterans to work alongside other veterans within the cannabis industry. The VCG helps strengthen relationships between veteran communities and their local cannabis businesses and governments. Learn more at www.veteranscannabisgroup.com. We are committed to serving our community by providing excellent services for clients and reliable jobs for skilled candidates. People Need People seeks to nurture accountability and reliability in the cannabis workplace. The demanding task of managing a labor force can be overwhelming for businesses; we're here to help. We connect the dots. Learn more at www.peopleneedpeople.com. HARDCAR is an award-winning company and long-time contributor to the cannabis space, with a proven track record of cultivating and solidifying meaningful relationships throughout the industry. From packaging to distribution, lab testing, trimming, secured storage and transport, HARDCAR Distribution has all aspects of cannabis retail covered. Through collaboration with our diversified team of highly qualified and talented professionals, we help cannabis businesses stand out in the industry by providing the highest quality industry services that keep our partners’ products safe, while maintaining excellence and compliance throughout our work. Learn more at www.hardcarsecurity.com. For more information about Veterans Cannabis Group, Dr. Larry Bedard, People Need People or HARDCAR Security, or to schedule interviews, please contact Jon Pierce at [email protected] or (517) 712-4529.